PinPoint allows you to set security rights at the Cabinet (folder) and Document levels. You can give different users certain access to folders and documents based on their role. PinPoint also integrates with all Microsoft Office products, as wells as with Active Directory.This makes it easy for you to integrate PinPoint with the programs you already use. You can access everything in your database from any location using any device, all based on the security you, as the user, have. You also have the ability to add versions of documents, and have the option of replacing the original or saving multiple versions. There is a built in comments & mark-up tool that allows you to add/edit documents using items such as sticky notes, labels, highlights, and electronic signatures. You have the ability to run from your own server, as our platform runs on Microsoft SQL 2008 or greater. As for Automatic Archiving, PinPoint has a built-in Archive engine and has the ability to set workflows and retentions on specific documents. With a built-in OCR engine, you can split and merge documents, even file directly from your network scanners. PinPoint’s automatic sweeper application (ARIE) allows you to file documents automatically, based on either the content of a document, or from the metadata you have selected. 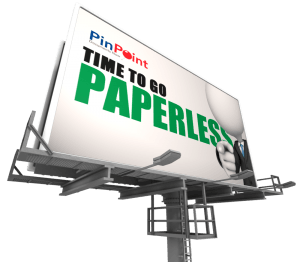 ← How Does PinPoint Help My Business?